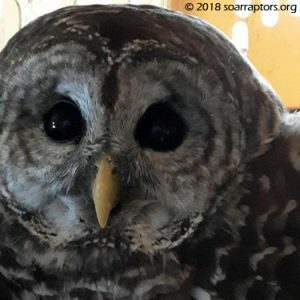 This barred owl admitted on Veteran’s Day with both a fractured humerus (upper wing bone) and tibiotarsus (lower leg bone). This is all wrapped up and in ICU. Owl is readily eating cut-up food. The leg bone did not heal, is what is termed a non-union.